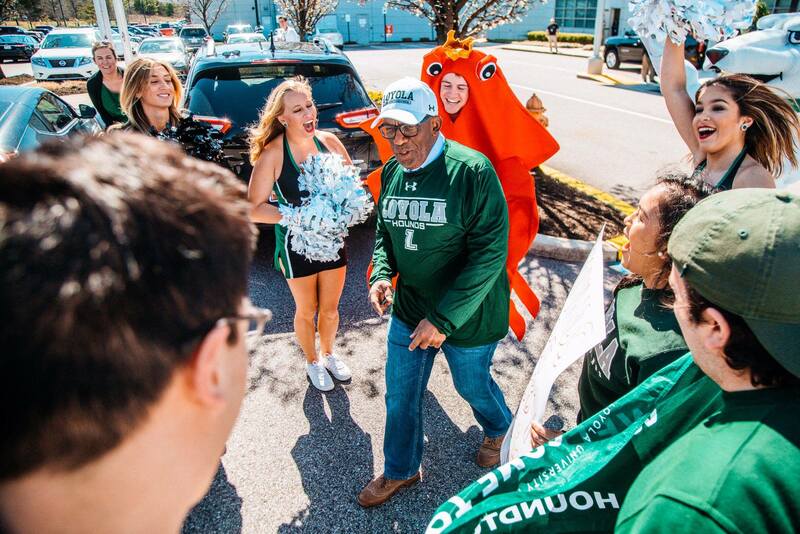 Loyola University Maryland was selected as one of five schools to be part of NBC’s Rokerthon during the final week in March and ultimately broke a Guinness World Record for the most people crab walking with 494. It was a month-long process that began all the way back in early February. It was a true team effort. 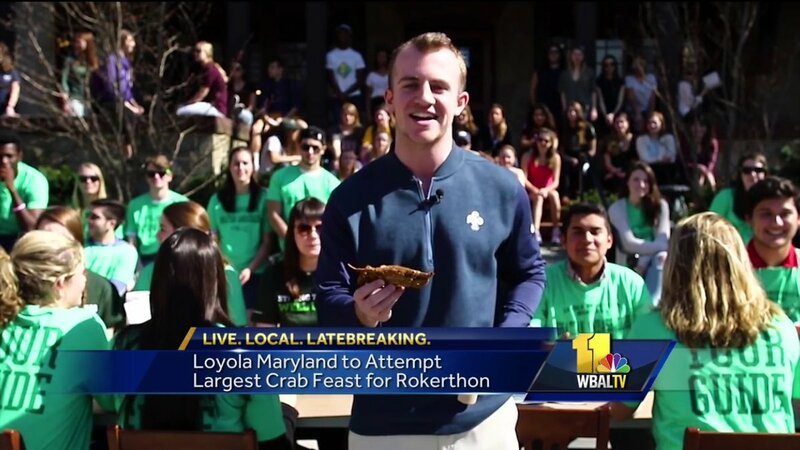 Wednesday, February 8th: I receive an email from Philip Caulfield (Loyola grad & Senior Editor at TODAY.com) detailing what Rokerthon is and including this link to the application: http://www.today.com/series/rokerthon/rokerthon-2017-t107447. Wednesday, February 15th: I receive a follow-up email and a reminder that the deadline is approaching (it was midterm week at Loyola, so I was swamped!). Later on in the afternoon, I forward the email to marketing & communication and undergraduate admission, simply to gauge potential interest. From here, it takes off. Monday, March 6th (First day of Loyola spring break): I receive a call while in Florida from Cecilia Fang of NBC. She tells me Loyola made the short list. Guinness World Records suggests we go for a different record attempt. We ultimately decide that Loyola would attempt to break Northeastern’s previous record of 376 people crab walking for two minutes. 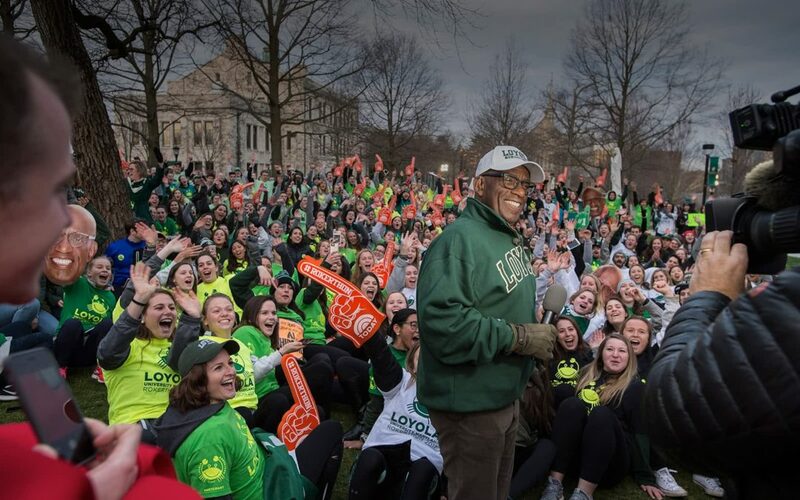 Thursday, March 9th: Loyola receives confirmation that it has been selected as one of five schools nationwide for Rokerthon 3. I receive the news around 5:30 PM in Fort Lauderdale. Monday, March 13th (First day back from spring break): The first Rokerthon planning meeting is held in Humanities. Attendees: Sharon Higgins, Gary Epstein, Joe Bradley, Rita Buettner, Teddi Burns, Colleen Campbell, Ryan Eigenbrode, Amy Filardo, Joan Flynn, Gerald Ford, Brian Linnemann, John McKiernan, Genna Mongillo, Clayton Myers, Brian Oakes, Arthur Sutherland, Stephanie Weaver, Raven Williams, Jennifer Wood, Beth Steiner, Birgit Albrecht, Erin O’Keefe, Michael Puma, myself, etc. 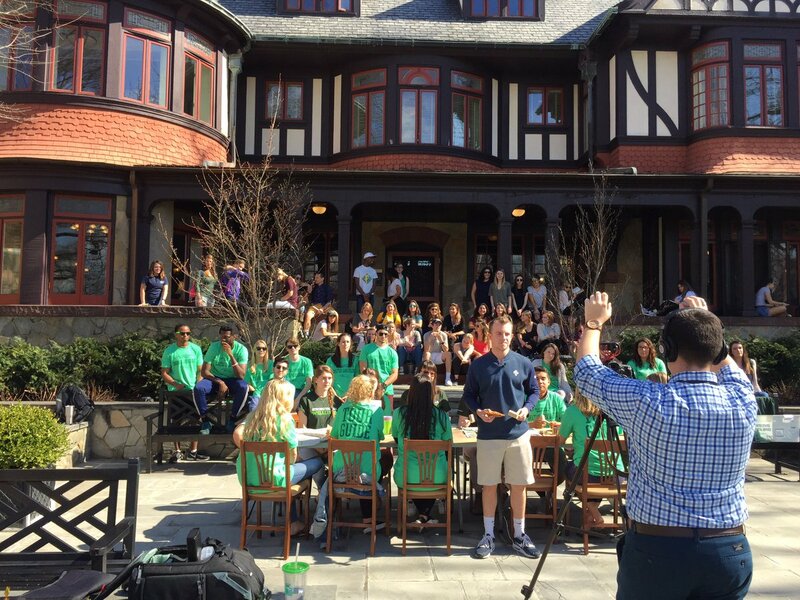 Thursday, March 16th: Loyola releases its “How-to crab walk” video. Friday, March 24th: A smaller meeting is held in Humanities to go over all logistics. Attendees: Sharon Higgins, Gary Epstein, Joe Bradley, Joan Flynn, Brian Linnemann, Amy Filardo & myself. Monday, March 27th (The week of Rokerthon): Loyola’s final group meeting is held before the big show on Thursday. Attendees: Sharon Higgins, Gary Epstein, Joe Bradley, Joan Flynn, Rita Buettner, Brigid Hamilton, Bryan Haunert, Charles Hiebler, Scott Kelly, Brian Linnemann, John McKiernan, Genna Mongillo, Clay Myers, Tim Attolino, Sara Scalzo, Chris Singlemann, Christina Spearman, Beth Steiner, Stephanie Weaver, Kiki Williams, Rebecca Winkler, Nick Alexopulos, Colleen Campbell, Patrick Durkin, Timothy Fox, Jennifer Wood, myself, etc. 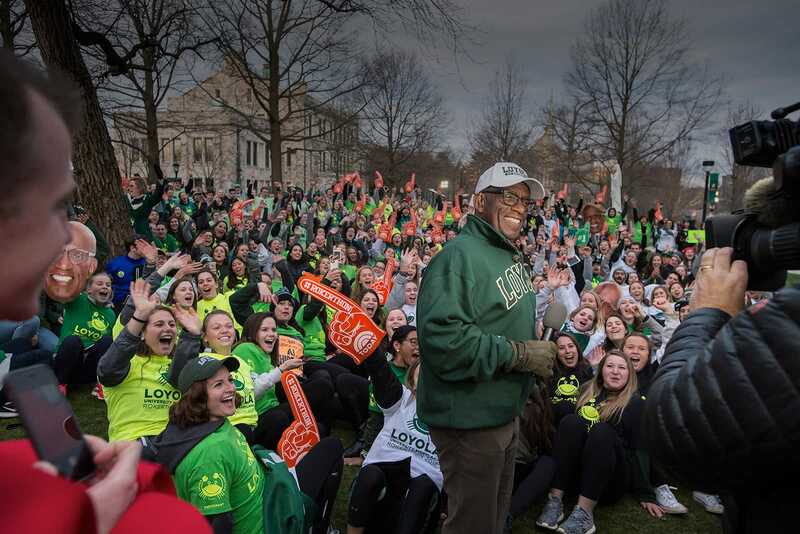 Wednesday, March 29th: Al Roker is picked up and greeted at the airport by a Loyola pep rally and escorted back to campus. He spends the day meeting President Father Linnane, checking out the library and Boulder Garden Cafe. 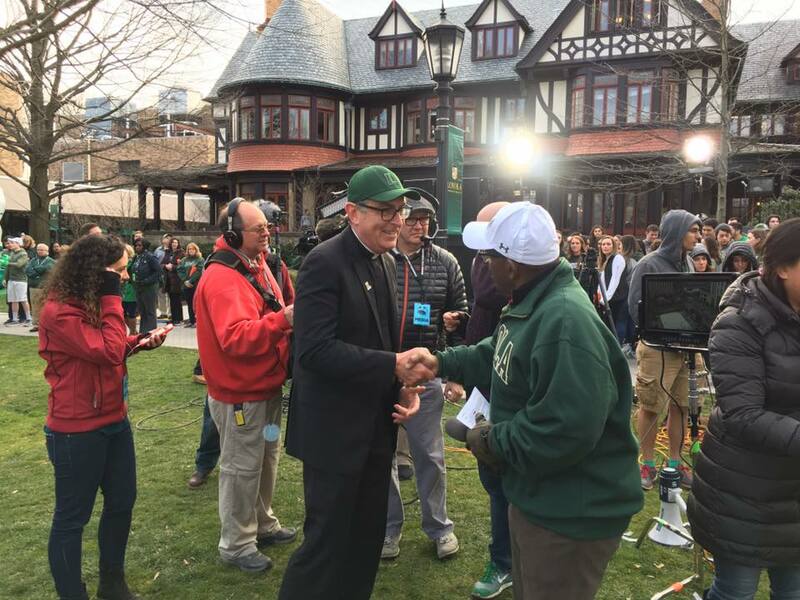 Thursday, March 30th: The official day of Rokerthon at Loyola. 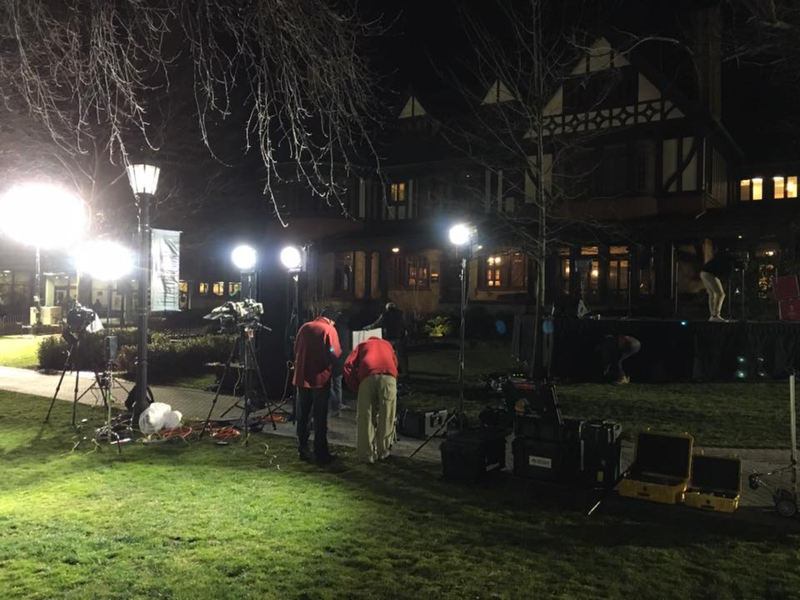 Event services works through the night and transforms the quad. 500+ students begin to line the quad in hopes of being granted entry into the “crab walking” field. By 5:15 AM more than 1,000 students, faculty, alumni and community members are on campus. 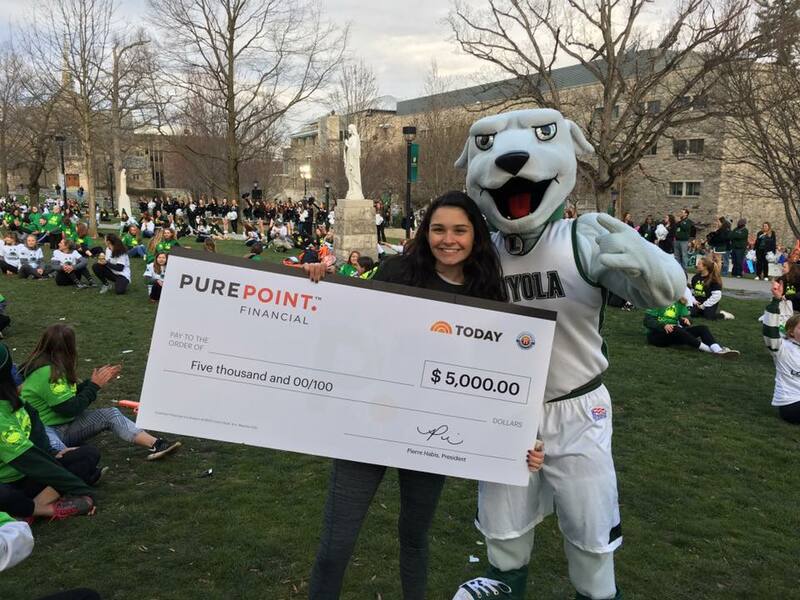 8:15 AM: 500 previously registered members of the Loyola community go for a Guinness World Record on national television. According to sources, viewership was over four million. 8:30 AM: Loyola University sets a new Guinness World Record with 494 people crab walking for two minutes, on national television. Brett Hollander – the voice of Loyola men’s lacrosse and radio personality at WBAL – was kind enough to invite me on for an interview. 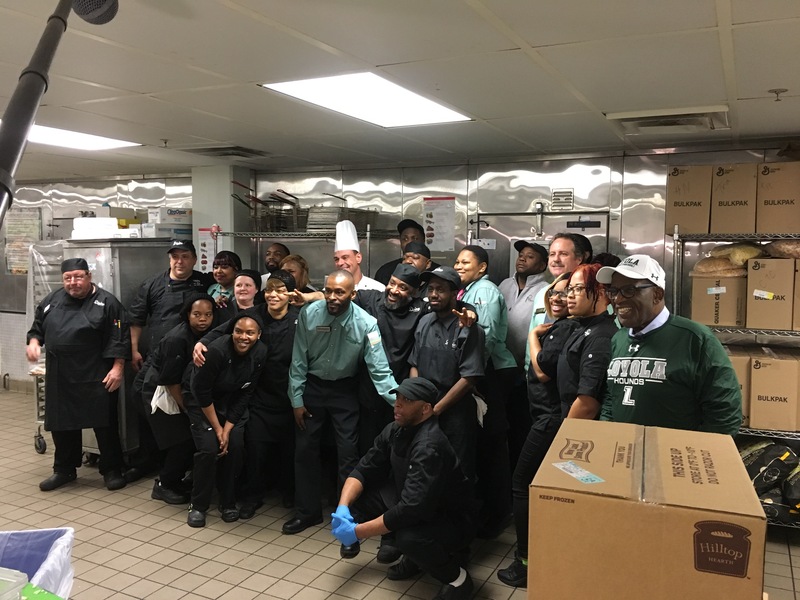 LINK: http://www.wbal.com/article/229171/21/loyola-senior-finds-school-unlikely-route-to-national-spotlight. The Baltimore Sun also weighed in: http://www.baltimoresun.com/news/maryland/education/higher-ed/bs-md-ci-loyola-today-show-20170328-story.html. 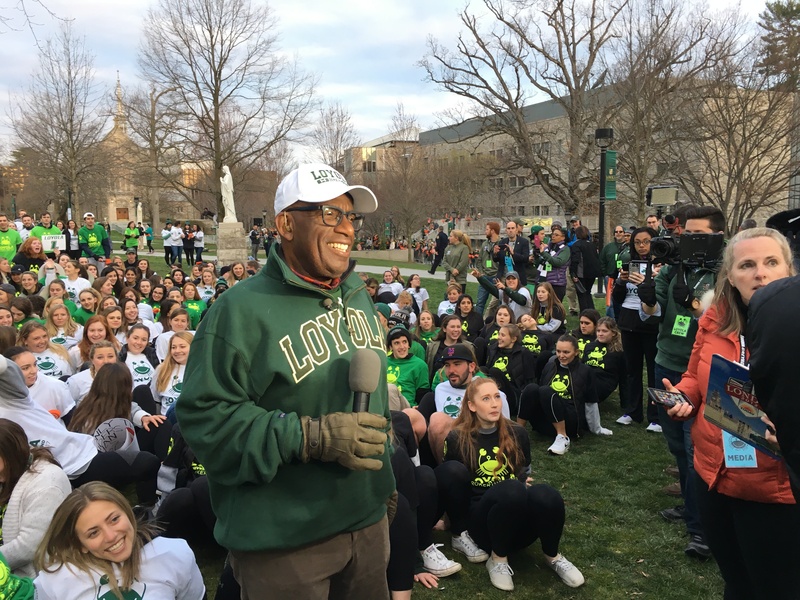 I want to personally thank everyone in the Loyola community and beyond for rallying around our selection to NBC’s Rokerthon. I could never have gotten to this point without our team. Plain and simple. To see this go from an idea on paper to what it is now will probably go down as my favorite Loyola memory of my four years at Loyola. On February 23rd, when we submitted our video, all I could do was dream that we’d have a chance. We’re now Guinness World Record holders. One thing I know for sure is that Rokerthon will still live on (at least for the time being) at Loyola. 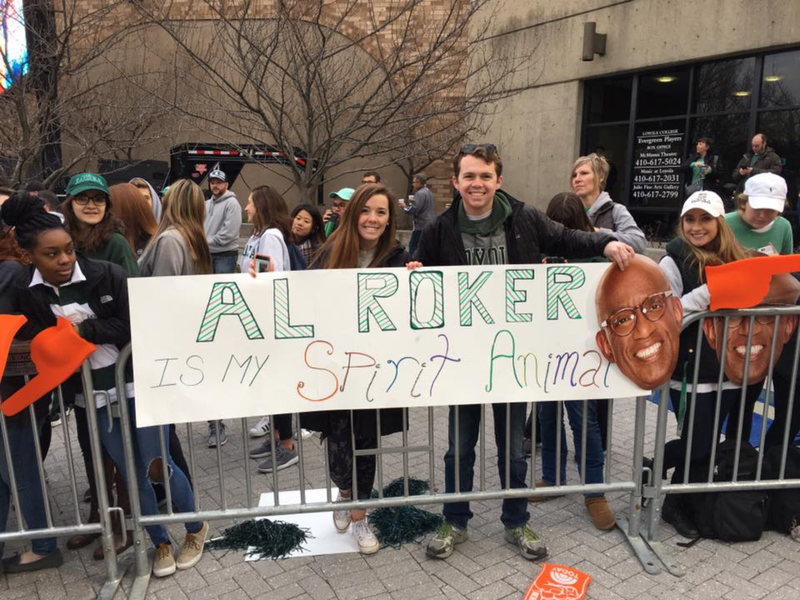 I’ve seen Al Roker fatheads hanging in residence hall windows, offices and even classrooms. 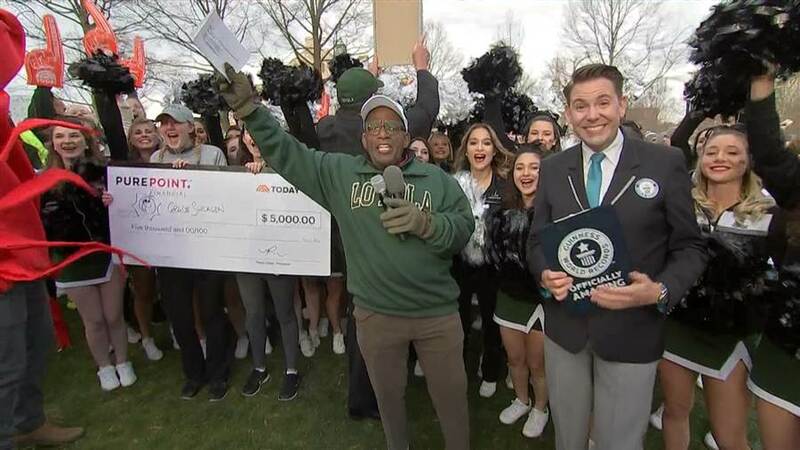 If nothing else, I hope that Rokerthon at Loyola provided a smile for those entrenched in today’s controversial world and inspired prospective students and their families to consider becoming a member of the ever-expanding Loyola University Maryland family.